Email/ WhatsApp for 1 to 1 class time and pricing. 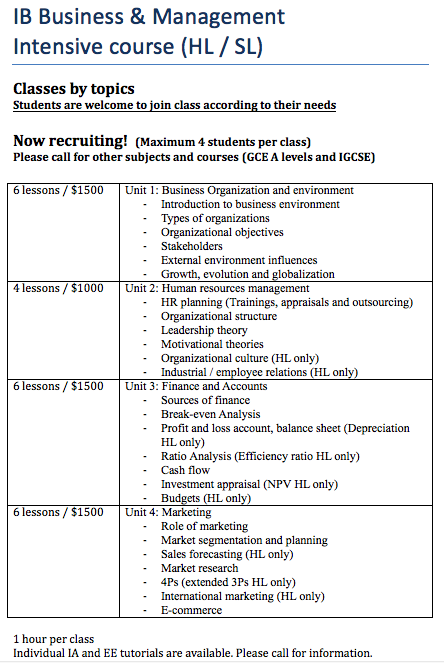 Need help on Econ or Business IA and EE? 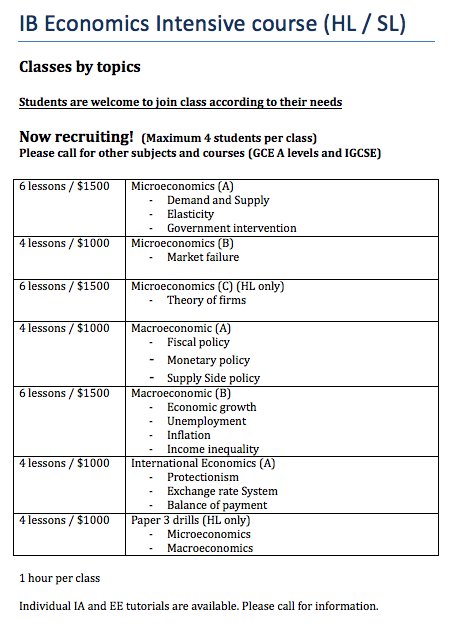 We also offer classes for IB Extended essay and IA on Economics and BS. Skype lessons for students studying in UK are available. For tutorials on other subjects, please feel free to contact to discuss.